A vaccine is a substance that is introduced into the body to stimulate the body’s immune response. It is given to prevent an infectious disease from developing and the person becoming ill. Vaccines are made from microbes that are dead or inactive so that they are unable to cause the disease. The antigen in the vaccine is the same as the antigen on the surface of the disease-causing microbe. The vaccine stimulates the body to produce antibodies against the antigen in the vaccine. The antibodies created will be the same as those produced if the person was exposed to the pathogen. If the vaccinated person then comes into contact with the disease-causing microbe, the immune system remembers the antibodies it made to the vaccine and can make them faster. The person is said to be immune to the pathogen. Vaccines are usually given by an injection. 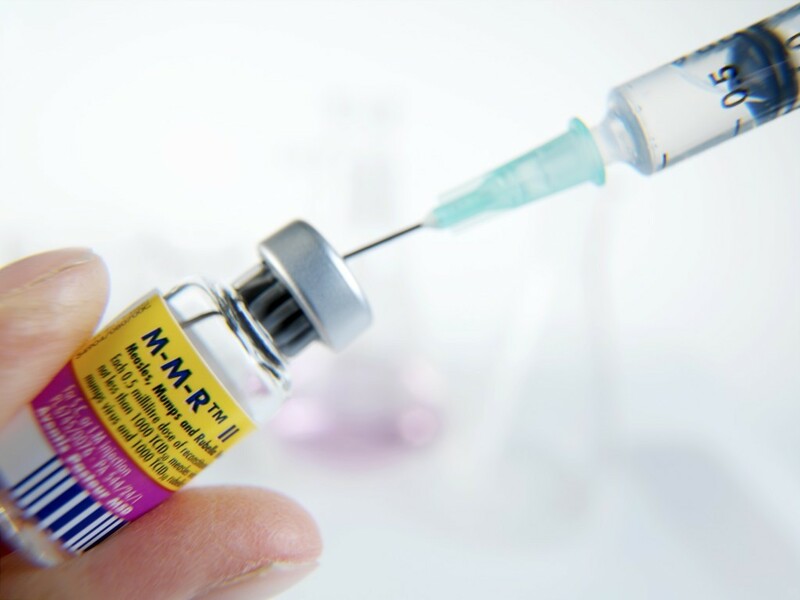 The measles vaccine is combined with the mumps and rubella (German measles) vaccines and is given as a single injection at 12 – 18 months and again at 4 years. It is called the MMR vaccine. When enough people are vaccinated against a disease it is possible for that disease to be eliminated from the world e.g. in 1980 The World Health Organization announced that smallpox had been eradicated. Not only do vaccines protect individuals, they also provide ‘herd immunity’. Herd immunity is the resistance of a group of people to an infection. It arises due to the immunity of a high proportion of the population, for example because they have been vaccinated or been exposed to the pathogen before. If this proportion is high enough then the small number of people who have no immunity will be protected because there are not enough susceptible people to allow transmission of the pathogen. The herd immunity thresholds (the percentage of population that need to be immune) are quite high. For polio it is 80 – 86 % and for diphtheria 85 %. Herd immunity will only work for diseases that are transmitted between people and not for diseases that can be caught from animals or other reservoirs of infection.